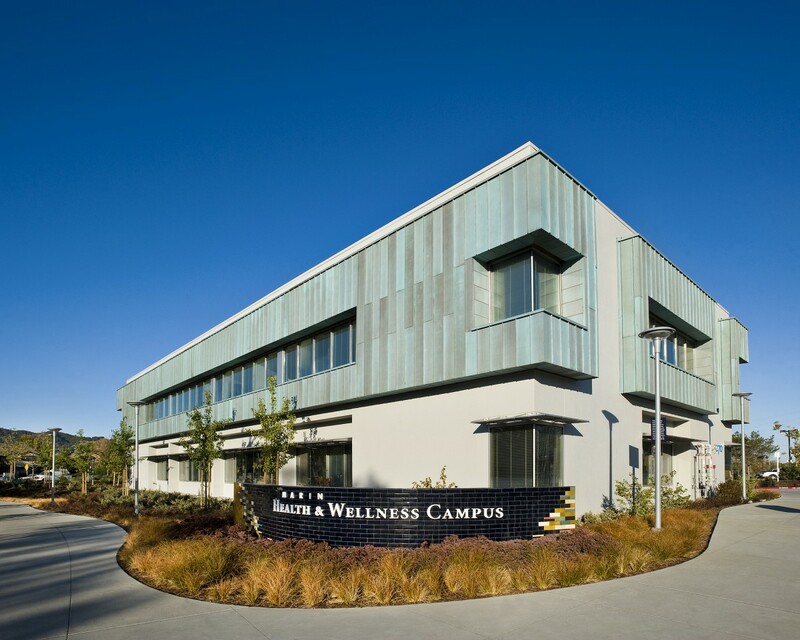 A sustainable campus consolidates wellness services to support Marin County’s neediest. 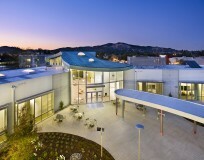 And a blighted former industrial site becomes a vibrant part of San Rafael’s life. Marin County faced two “human footprint” challenges. First, a burgeoning low-income population strained the county’s health and social services, which were housed in scattered, aging facilities. Second, an abandoned 7.5-acre light-industrial lot blighted the central Canal District in San Rafael, where many of these disadvantaged residents lived. The campus offers a community feel – it’s a place to meditate, shop a farmer’s market, even attend a film on a warm night. 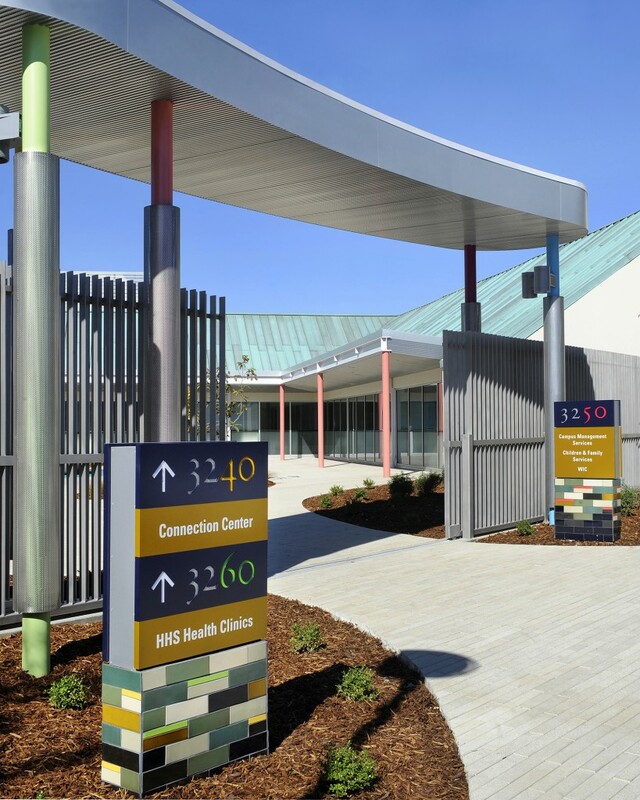 Tobacco settlement funds enabled the county to purchase the lot, and a vision took form: to turn five concrete tilt-up warehouses into a welcoming, sustainable campus of clinics, administrative offices, and community meeting space. RMW’s design brings the 74,000-square-foot campus to life, turning loading docks into sun porches and integrating a soaring two-story reception lobby. 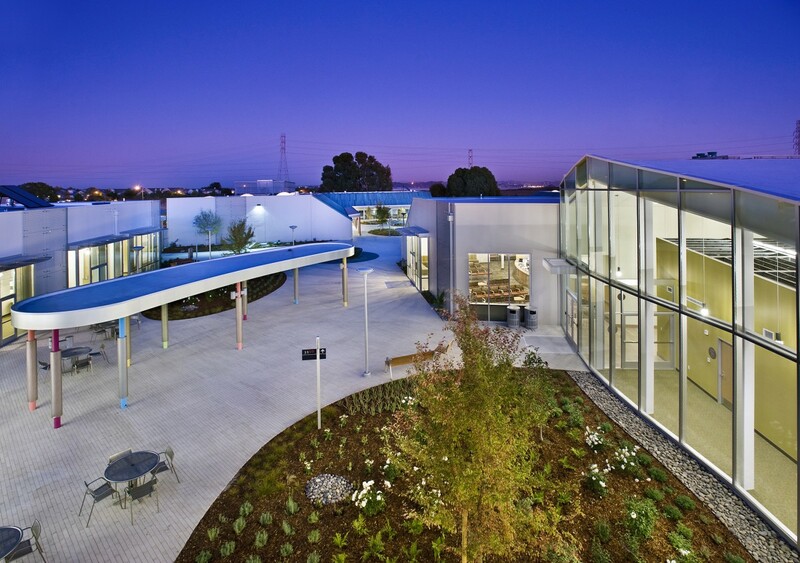 The central parking lot was replaced with pervious paving, planted trellises, art elements, café seating, healing gardens, and a play area. 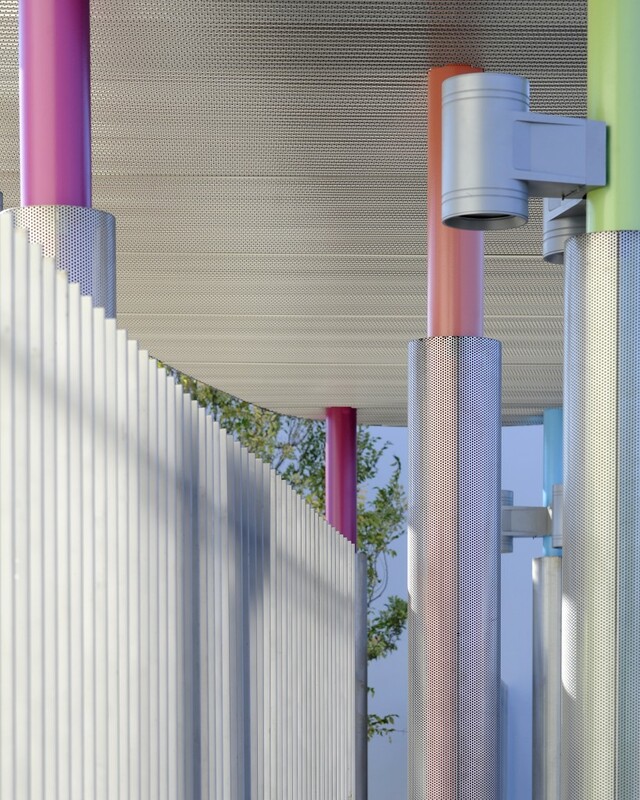 Because more than 40% of the targeted clientele lives within two miles of the site, the design promotes pedestrian and public transportation access, emphasizing wayfinding through a campus path network covered by playful walkways. 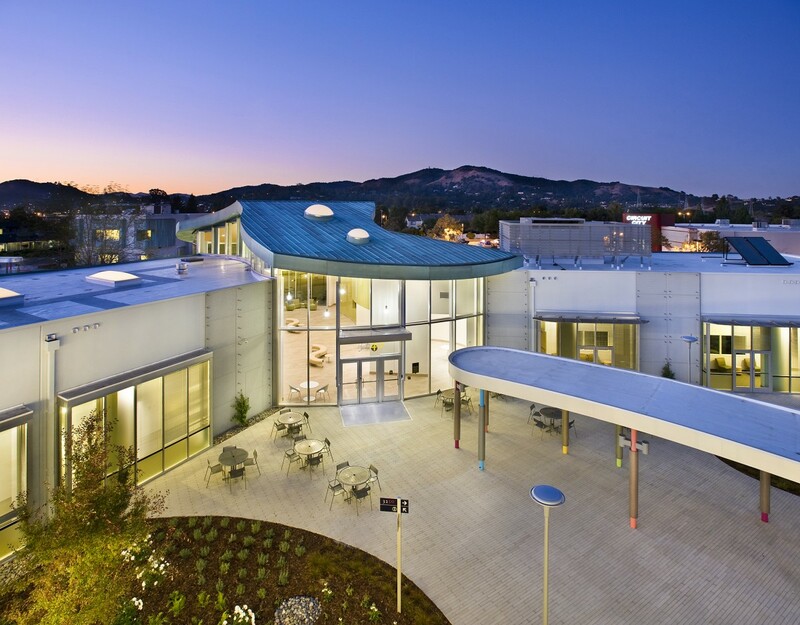 The community feel of the campus offers a therapeutic aspect – it’s a place to meditate, shop a farmer’s market, even attend a film on a warm night. 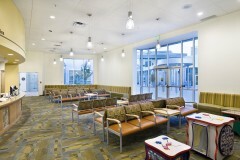 The new Health and Wellness Campus houses 215 staff offering outpatient services in primary care, women’s health, mental health, and substance abuse treatment. 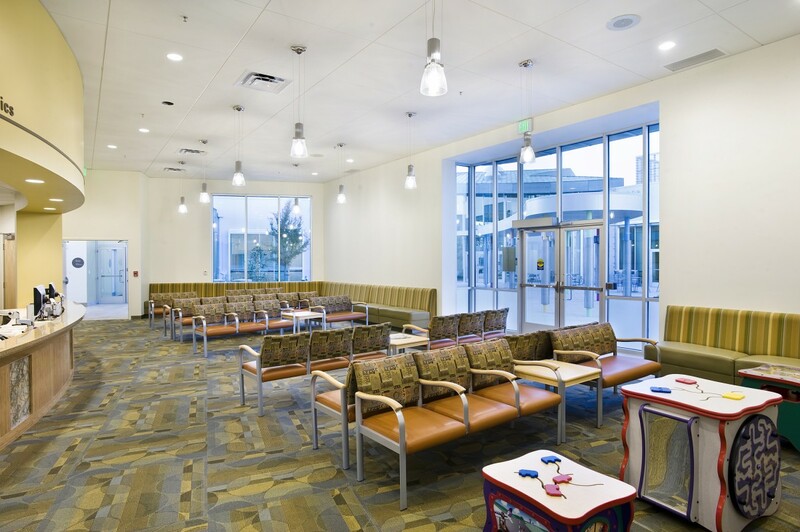 Recognizing that healthcare facilities are enormous energy consumers, the county established an early goal of LEED Gold certification, which drove design decisions throughout. Locally sourced and recycled materials are used extensively. 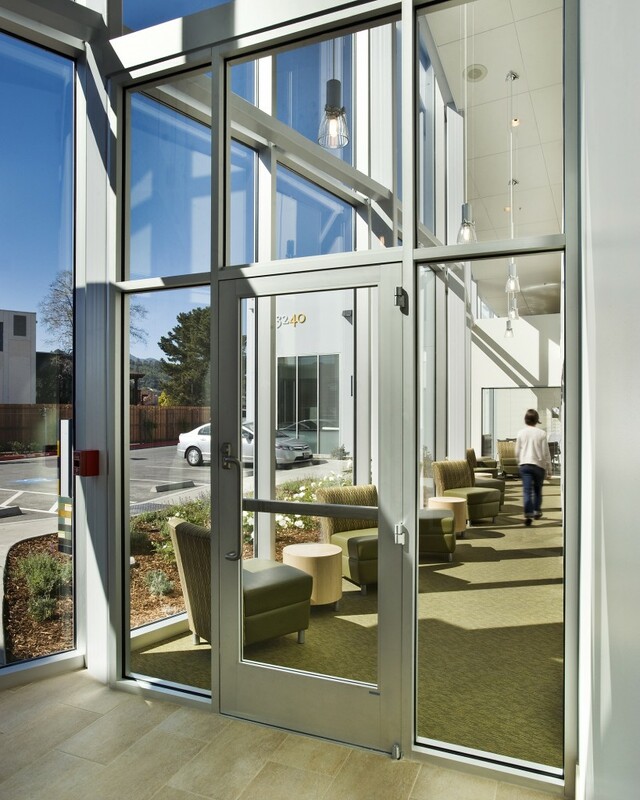 High-efficiency glazing, insulation, and overhangs moderate the need for extensive mechanical systems. 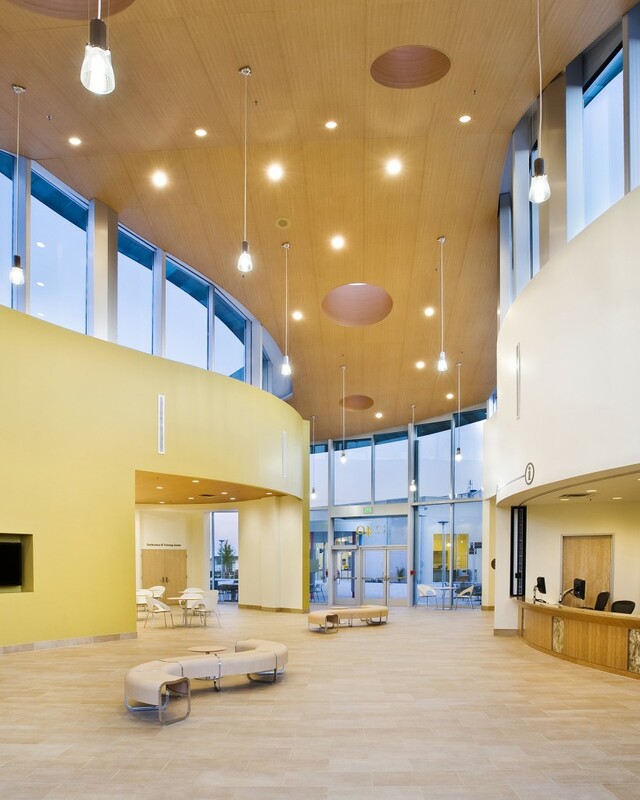 An advanced HVAC system, combined with the highly efficient envelope, daylighting control, and solar thermal arrays, ensures a peak load of 40% less than a Title 24 standard building. Modeling anticipated a 50% savings in electricity consumption compared to the Title 24 standard and a 60% savings in annual gas usage. A one-year postoccupancy analysis showed that actual energy cost savings exceeded expectations by 13.12%. 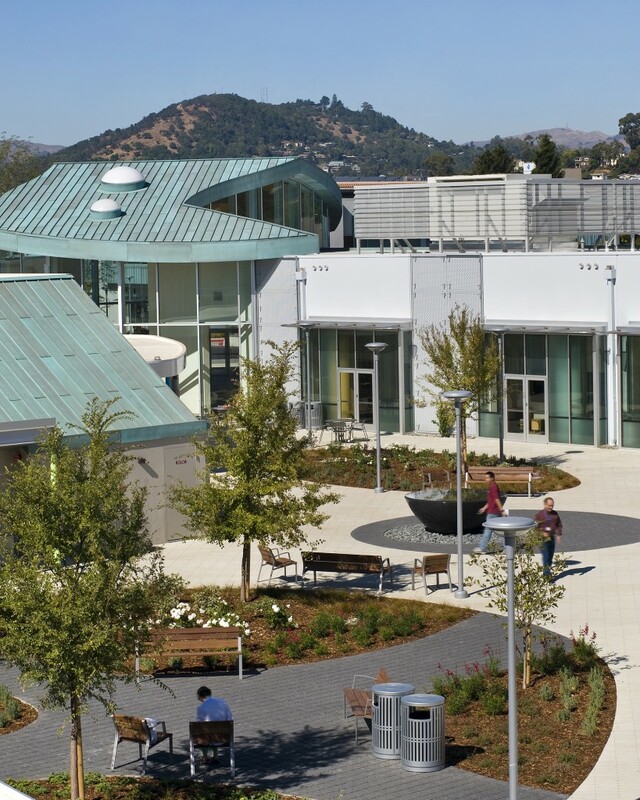 A single material, preweathered copper, was selected to reroof and clad the buildings and create a unified visual signpost and reference the Marin Civic Center. Award: 2011 Honorable Mention, ASHRAE Technology Award, Health Care Facility category.